We've made plenty of good friends and shared many a great stories while sipping tasty libations at our favorite watering hole (A.K.A., the Designated Drinker Show). Sponsors? Drinking buddies? We really don't see a difference, and either way, we want to say thanks for their support and suggest you get know them, too. By the way, we'd love to add you to the list so come on, join us. 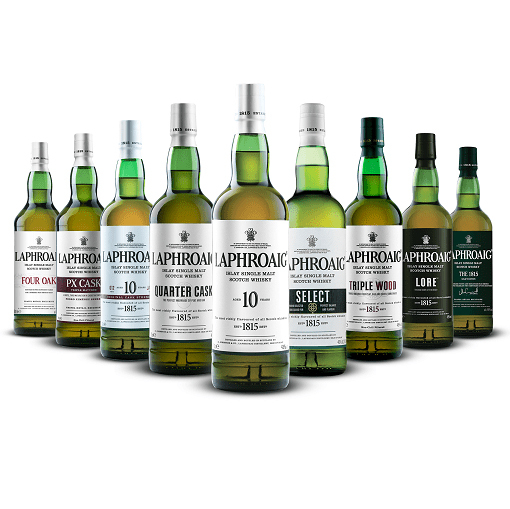 Renowned for being the world’s richest single malt Scotch, Laphroaig’s award-winning family of whiskies consists of a selection of Core, Travel Retail and Rare expressions. Each the end result of a spirit matured in a range of different woods and casks, and the product of a 200 year old tradition of unique whisky making. If you are not sure where to start, let us know, we’re always happy to help. Sipsmith is the quintessential expression of a classic, traditional London Dry Gin. Bold, complex and aromatic – smooth enough for a Martini, yet rich and balanced making for a perfect gin and tonic. Gina pairs it with her bloody mary mix to make an amazing Red Snapper. Every aspect of creating this brilliant spirit is a meticulously researched labor of love. So, to find out more about the full Sipsmith line-up, check out sipsmith.com. Over 25 years ago, master distiller Booker Noe set out to create a whiskey that adhered to the original, time-tested way of doing things. He named it Knob Creek. Every batch is aged in maximum-char barrels to pull every bit of natural sweetness from the oak. Then it’s bottle at an uncommonly balanced 100 proof. Knob Creek is whiskey the way its supposed to be: full flavored. They make every drop count so that you can make every minute count. To explore the Knob Creek line-up, visit knobcreek.com. Suntory Whisky Toki embodies the proud heritage and innovative spirit of a groundbreaking and timeless Japanese blend of carefully selected whiskies. Silky with a subtly sweet and spicy finish, Toki is the vivid blend that invites people to discover modern and traditional Japan, from the award-winning House of Suntory Whisky. To find out more about this award-winning whisky, visit suntorytokitime.com. Hendrick's is an iconoclastically produced small batch gin distilled in Ayrshire, Scotland. Our unusual distillation process combined with our oddly delicious set of infusions yields a one-of-a-kind gin that is passionately loved by a tiny yet growing handful of individuals all over the world. No other gin tastes like it because no other gin is made like it. 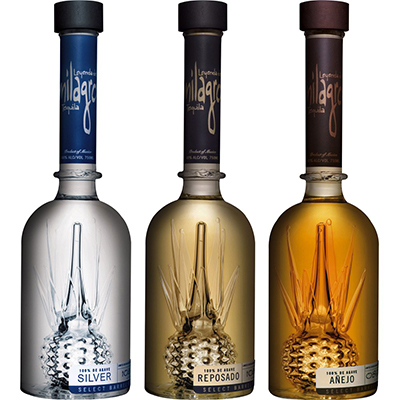 Milagro means miracle, and the tequila’s unique aesthetic is a true celebration of Mexico’s passion for art and design. This award-winning tequila, bridging two worlds– the historic world of traditional tequila & the vibrant world of modern day Mexico.Enjoy responsibly. Hudson Whiskeys, they like to keep it local and keep it green.